The goal of the Career Development division at Sandhills Community College Hoke Center is to assist students in assessing their interests, personality traits, and abilities in setting career and educational goals, and in creating a pathway that will lead to economic, social, and educational success. The fee for Career Development classes is waived for qualified students. Is becoming a CNA the right job for you? 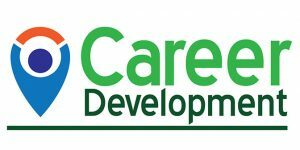 In “Introduction to Direct Care Work-Phase 1” learn the skills it takes to be a Direct Care Worker and master the skills you need to get and keep a job in this introductory course. Become CPR certified upon completion. “Introduction to Direct Care Work-Phase 1” will be held Aug 28-Sept 11, Tuesdays and Thursdays from 12:30-3:30 p.m. The cost of $75 is waived for qualified students and there is a fee of $7 for CPR certification. Register in the Sandhills Community College Continuing Education office located on the first floor of Van Dusen Hall on the Pinehurst campus at 3395 Airport Road. Registration by phone with a credit card can be made by calling (910) 695-3980. Registration hours are Monday through Thursday, 8 a.m. until 5 p.m. and Fridays 8 a.m. until noon. For questions about these or other Career Development classes, contact Program Director Jenny Troyer at (910) 695-3926 or troyerj@sandhills.